By estimation, 32 million workers in the U.S. experience mental illness in a given year. Of that population, only half seek treatment and few feel comfortable turning to their employer when they need help. We’re in the midst of a workplace wellness crisis and it’s time to start doing something about it. 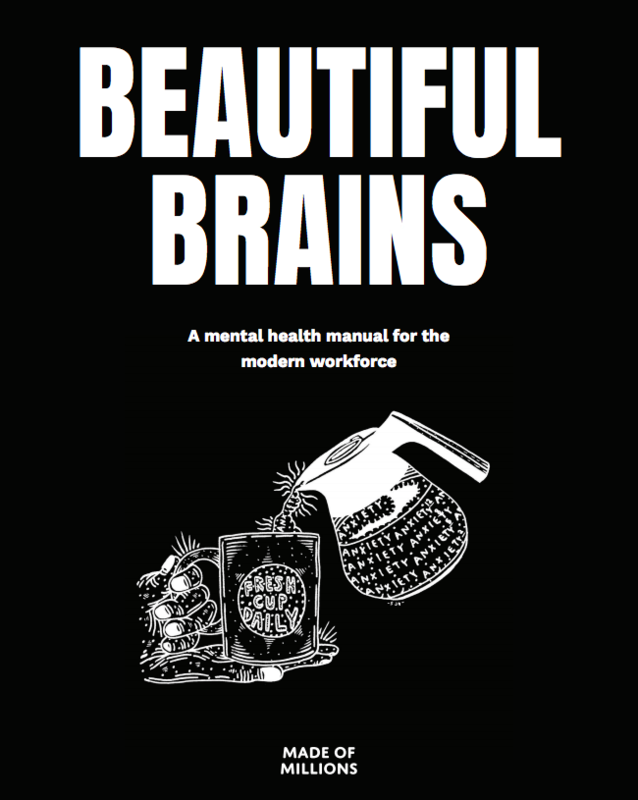 Introducing the Beautiful Brains Guide — a free, no-nonsense roadmap that shows modern businesses how to foster mentally healthy environments. In six simple steps, it outlines the culture and policy changes necessary to better support employees battling mental distress. Head here, download the guide and share it with the decision makers at your company. Then circulate it amongst coworkers and friends, announce your support on social and help us turn this thing into a real movement. Every employee deserves a workplace that works for them. With your help, we can get there.